It’s been discussed quite a bit that the millennial generation doesn’t trust the stock market. This is a blanket statement that doesn’t hold up in every instance, but it does describe a general attitude held by great many people who grew up in uncertain financial times. They believe, as it’s commonly stated, that the markets are too easily manipulated to be trusted. And, as a result, they often look elsewhere for investment opportunities. This is not inherently a bad thing. The stock market can be very difficult to navigate, particularly for young people with limited experience. 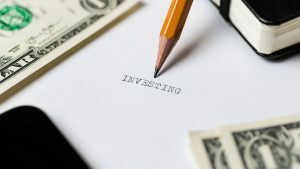 Additionally, diversifying investments is a generally sound financial strategy, which means that to a point, alternative methods can almost be necessary. With that said though, there are some increasingly popular alternative areas in which young investors need to be particularly careful. Crypto investment may have cooled off after a fairly down year in 2018. However, the fact remains that people under 30 are more likely than other generations to invest in this tech-based alternative currency. Many see it as an alternative version not just of stock investment, but of forex and commodity trading as well. There are logical arguments to holding a given amount of cryptocurrency in case it experiences another boom like the one in 2017, and you can absolutely find a lot of crypto analysts who forecast just this sort of movement. However, cryptocurrency has also proven to be extraordinarily volatile and difficult to predict. Investment in this particular space is inherently risky, and arguably more uncertain than traditional financial maneuvers. Mobile investment is basically a brand new category, brought about through apps and companies like Robinhood and Stash. These services allow people to buy real stocks in low amounts and with low fees, or in some cases no fees whatsoever. It’s stock market investment made for 2018, and aimed at that very same generation that doesn’t trust regular markets, and by extension established brokerages and trading platforms. There’s something wonderful about the trend, and those young people who are willing to put in the work to invest strategically through these apps may be wise to try it. However, like most other apps, these can be somewhat addictive, and they can seem somewhat detached from the serious financial markets they’re connected to. So the idea here is not to get carried away just because an app is fun and simple to use. This is not the name of a recognized company, but it describes a tendency among some young people today to attempt to win money through game-like means. Online casinos are perhaps the most significant options, and while most can distinguish between gambling and investing, there are systems in place to make casinos more accessible in this regard. People go to great lengths to choose sites with unique bonuses and matching systems that essentially result in free money to play with, which translates, to some, to free investment opportunity. Beyond casinos, others are looking to make money through fantasy sports, daily fantasy sports, numerous betting platforms, and even eSports and things of this nature. Overall, this category is about betting, whether on skill or chance. While there’s entertainment value in this however, it’s simply not the same thing as strategic investment. It sounds strange, but we can chalk an entire generation’s fascination with venture capital funding up to a single television show. Shark Tank exposed the world to what this world is like, and frankly made it seem like buying a small amount of equity in a rising company is an easy path to side income. There are countless success stories written up, articles on how to invest like the “sharks,” and new episodes of the show still being produced. Meanwhile, there are also more and more websites and platforms that actually facilitate this kind of investment, such that people can find interesting companies and buy in on their own. It’s an exciting concept and actually a very fun one at times. However, young people need to be careful not to fall into the trap of assuming they’re like the Shark Tank investors. Making money on a new company is very difficult, particularly with limited funds to put in in the first place.